School Business Card Magnet - 3.5x2 (Square Corners) - 25 mil. SCHOOL BUSINESS CARDS MAGNETS are one product that keeps selling long after the others have been tossed away and forgotten. Business card magnets are an effective and low cost way to promote your school spirit. 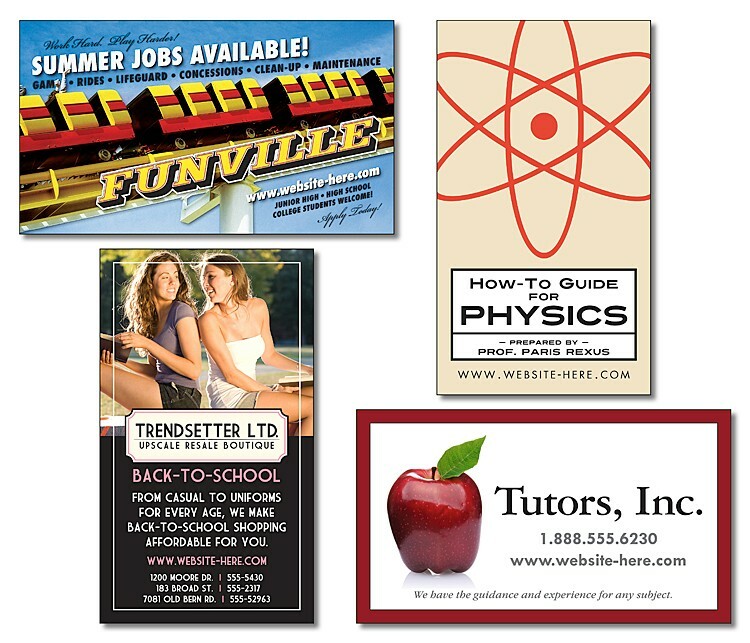 Personalized with your schools contact information in full-color, business cards magnets are a proven marketing tool for keeping your message in front of your students and parents. 3.5 in. x 2 in. © Copyright 2018 WOWPromos Promotional Products. All rights reserved.